Something about this one sounds really intriguing. Badly behaved girl turned grim reaper seems like it could be a lot of fun, and the mystery aspect of who the murderer is should add to it. Plus, Goodreads reviews are describing Lexi as super-snarky, which is always a plus in a main character! Hey, Thanks so much for the invite! 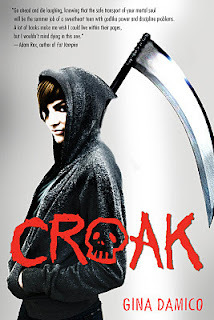 :) A girl turned grim reaper? well you had me at reaper, haha! Great choice, this is the first time I've seen this book! I hadn't heard of this one either, looks like a good one. A new concept... for sure.